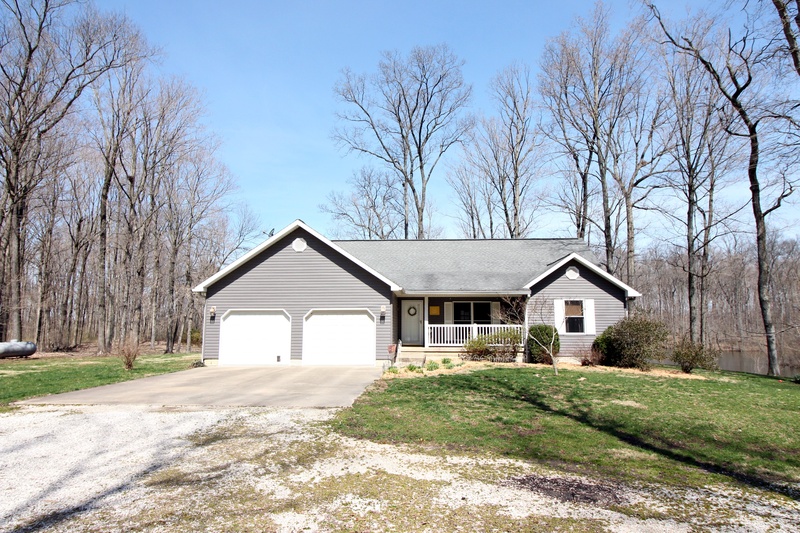 4830 E Wayne Ln. 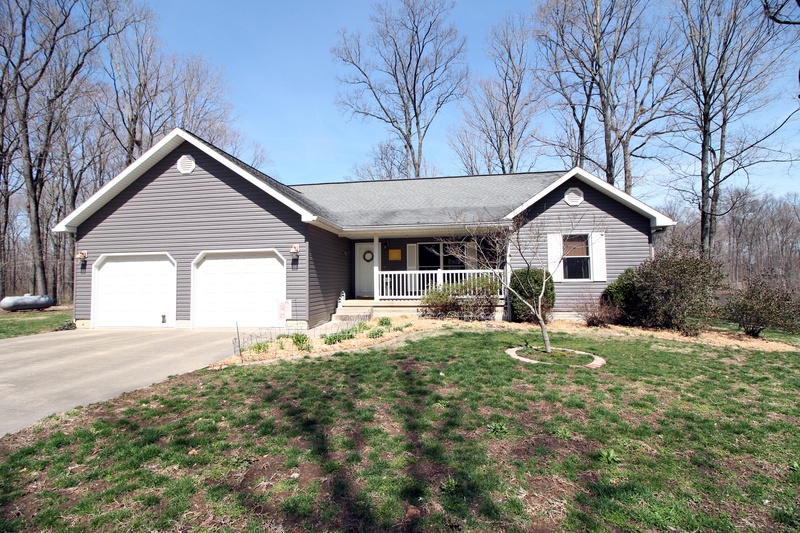 Parkersburg – Clark Real Estate Group, Inc. 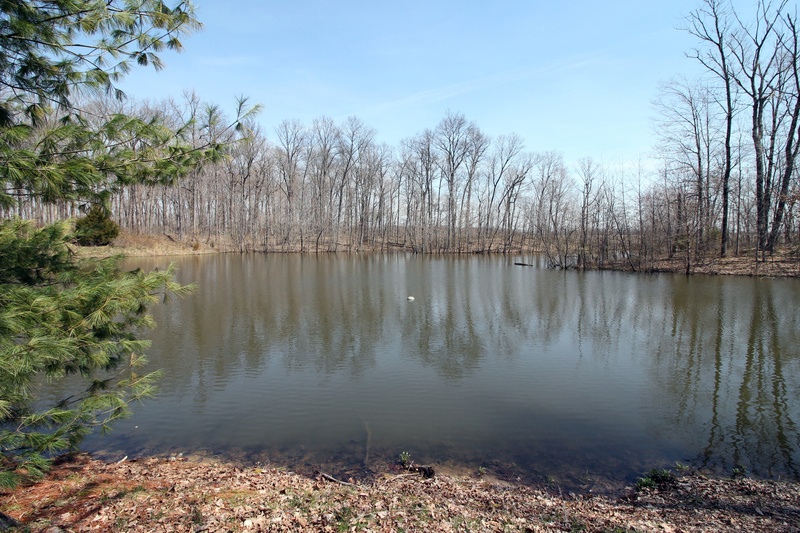 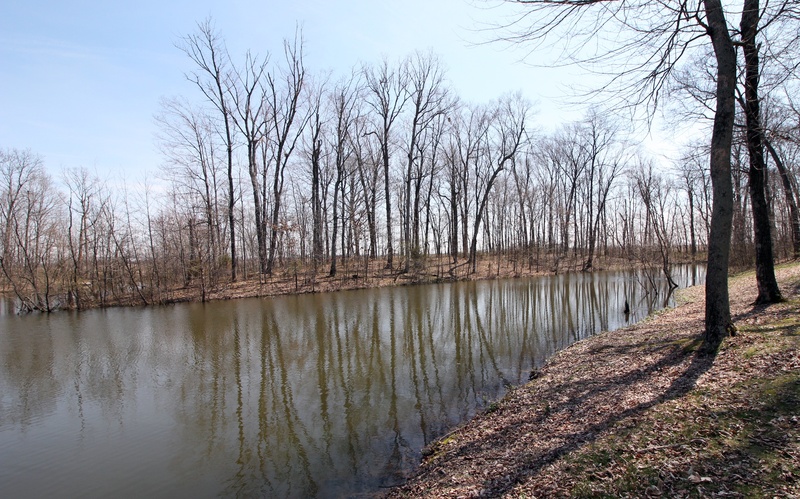 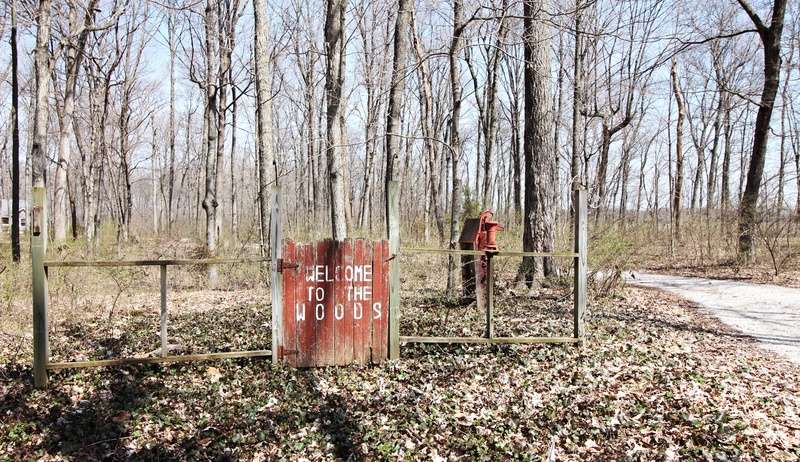 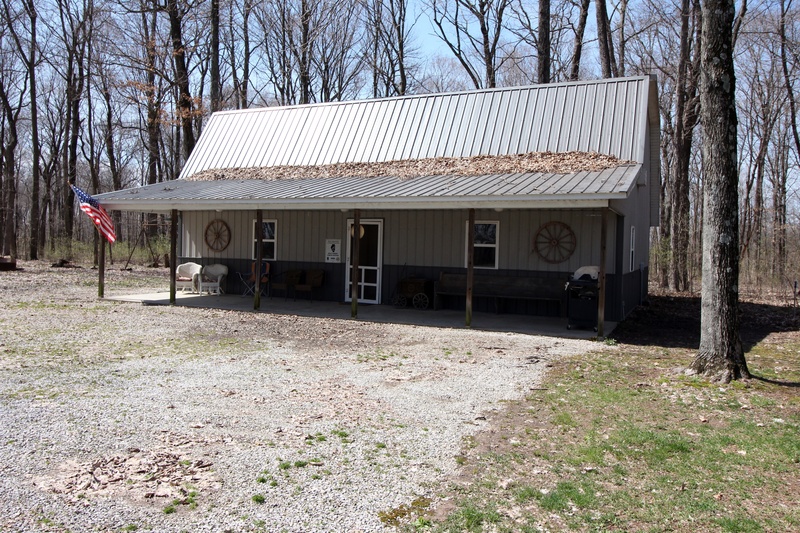 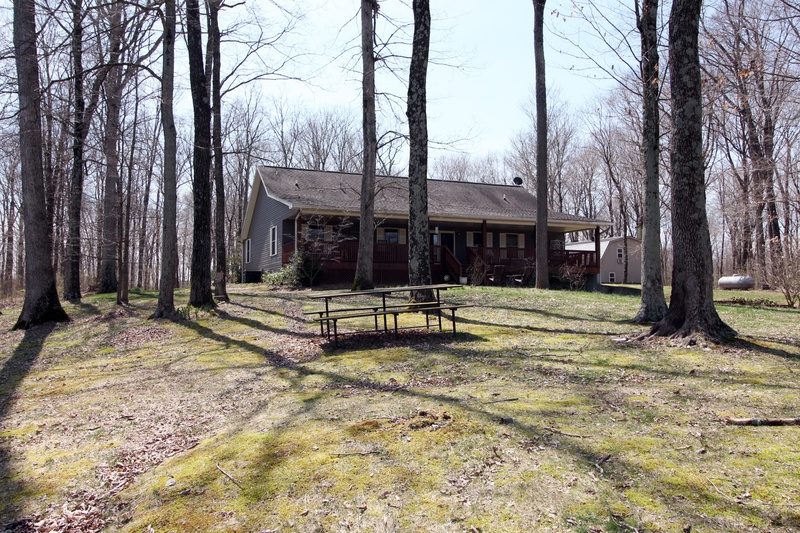 This stunning property offers 19.7+/- wooded acres with walking trails, 15 acres of underground fenced area for pets, a beautiful pond that surrounds the 2976 square foot GLA home and a two story shed that has been recently used for a hunting lodge. 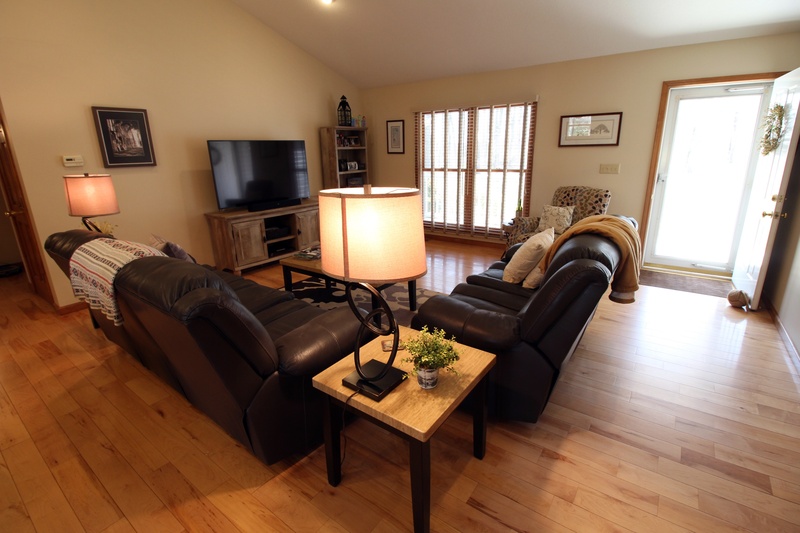 Inside the home, built in 2002, you will find a striking open concept living, dining and kitchen with granite counter tops, child proof glass cabinet fronts, jen air range and microwave, and the entire space with gorgeous hardwood floors and vaulted ceiling with recessed lights. 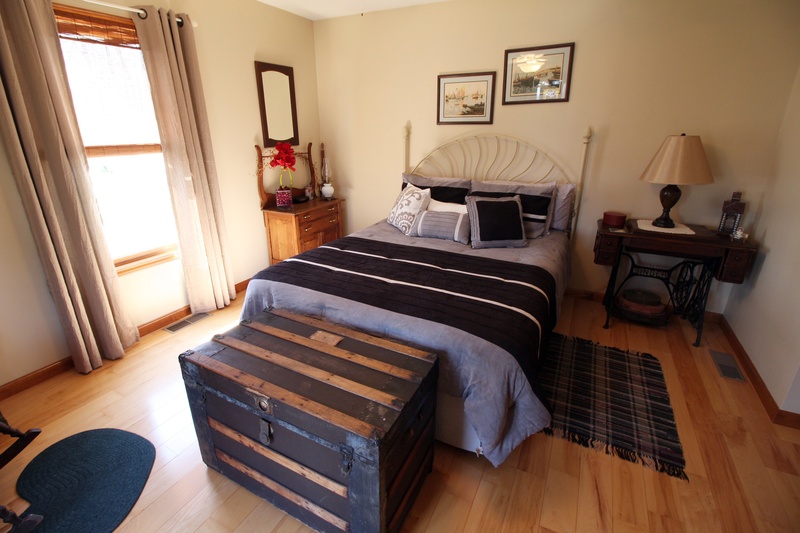 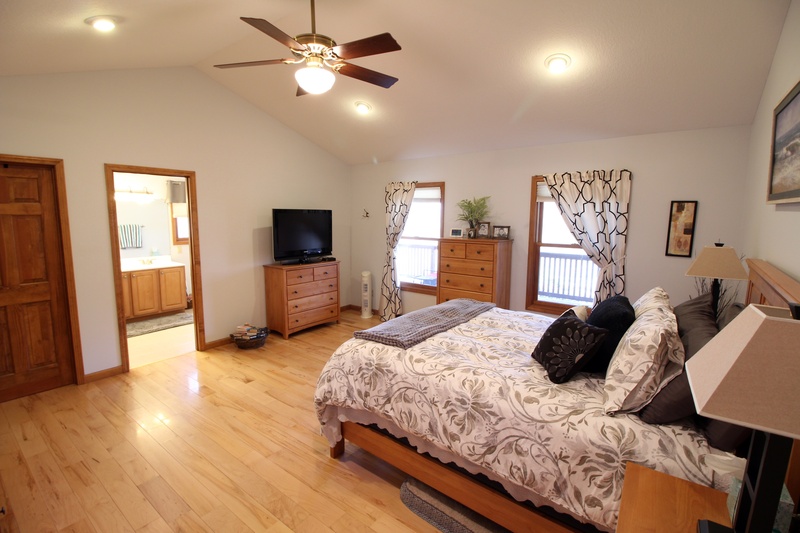 The master suite offers views of the pond, hardwood floors, a spacious walk in closet and en suite bath with tile floors. 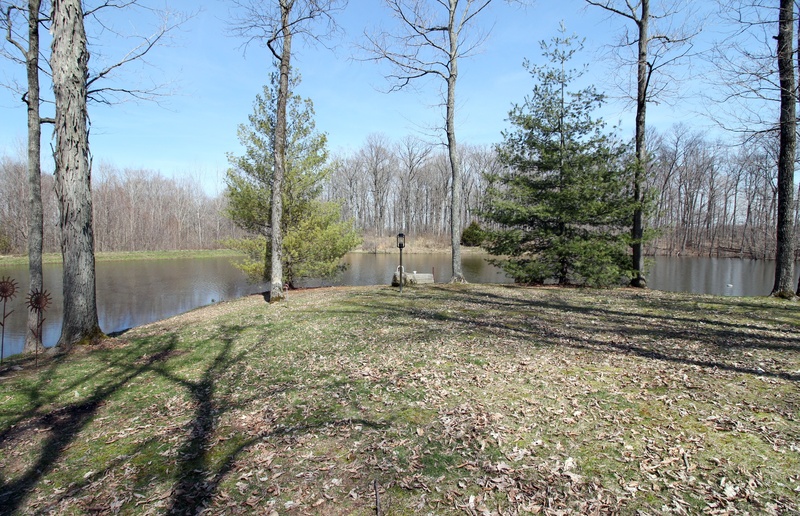 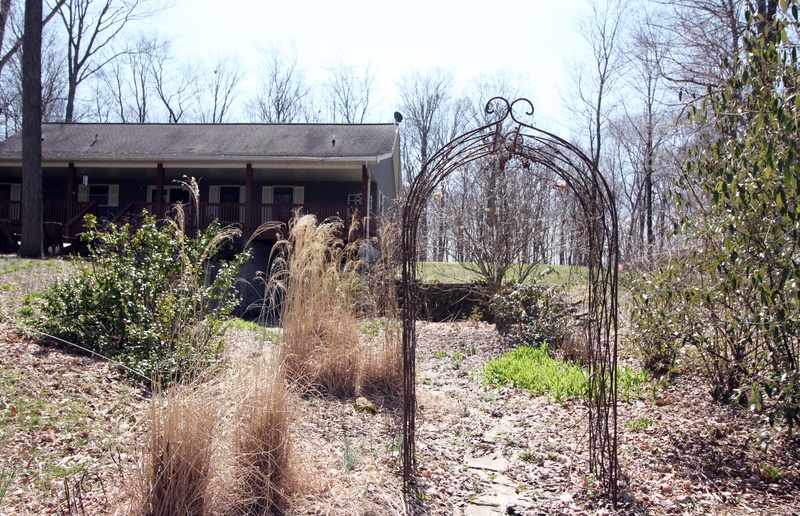 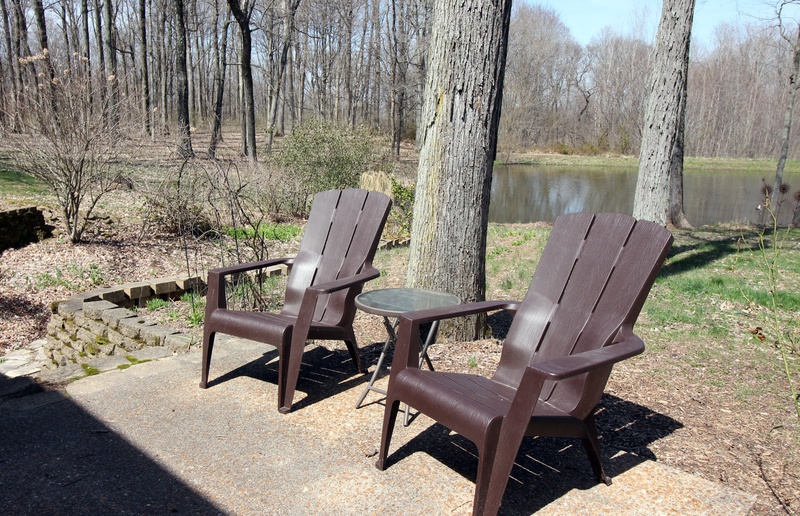 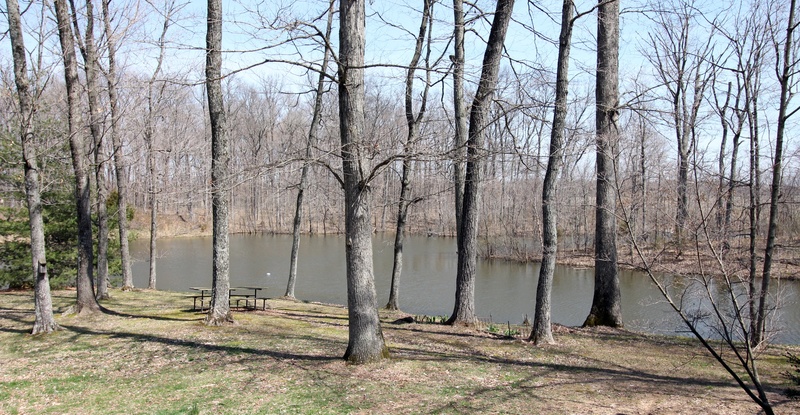 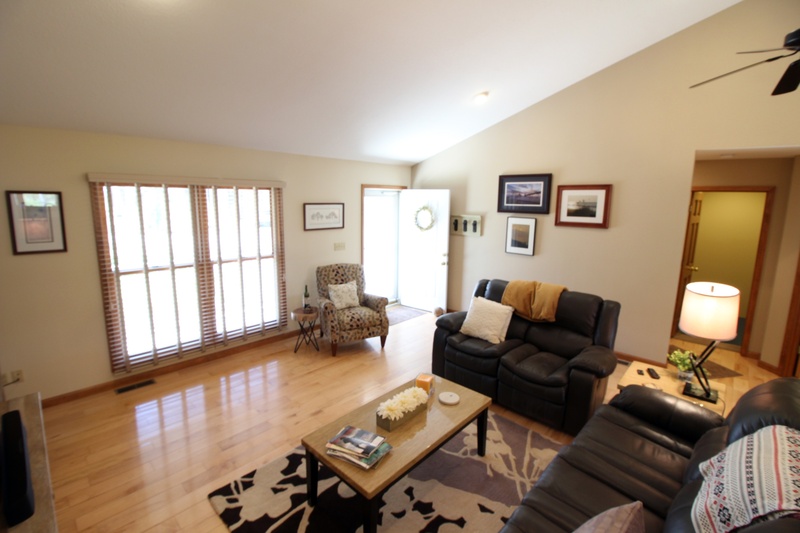 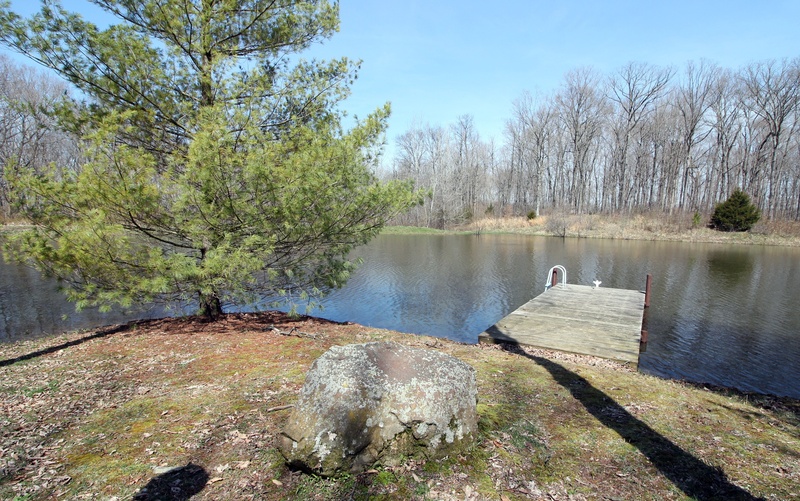 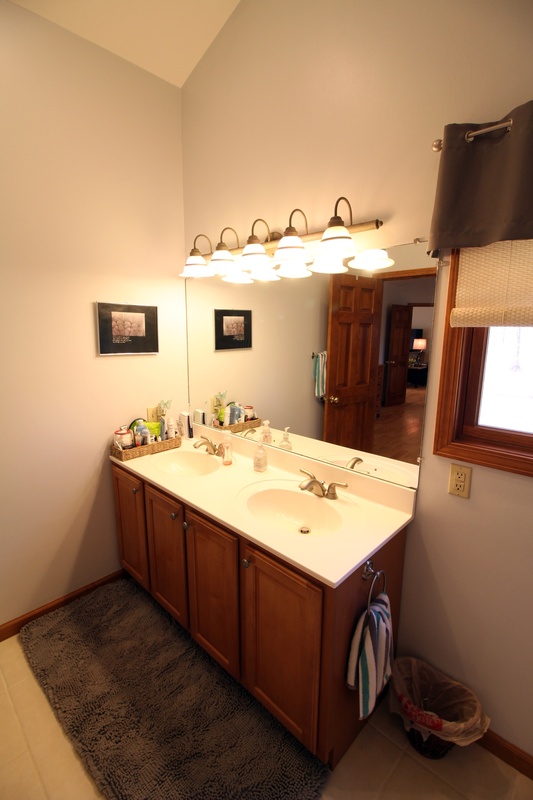 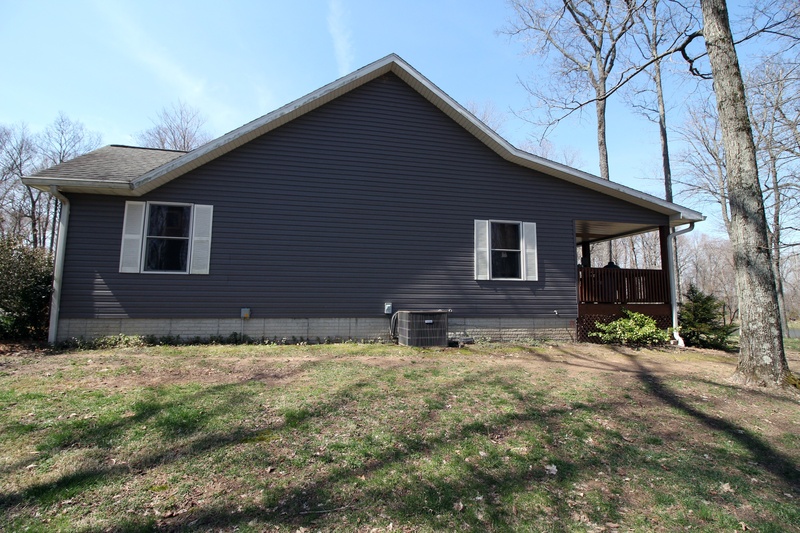 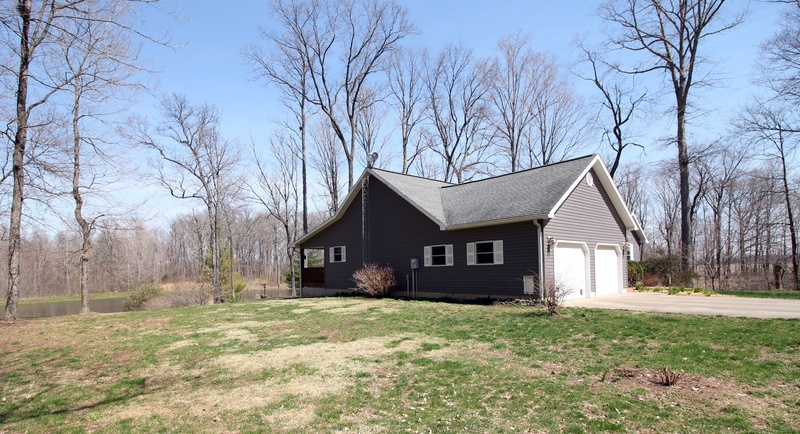 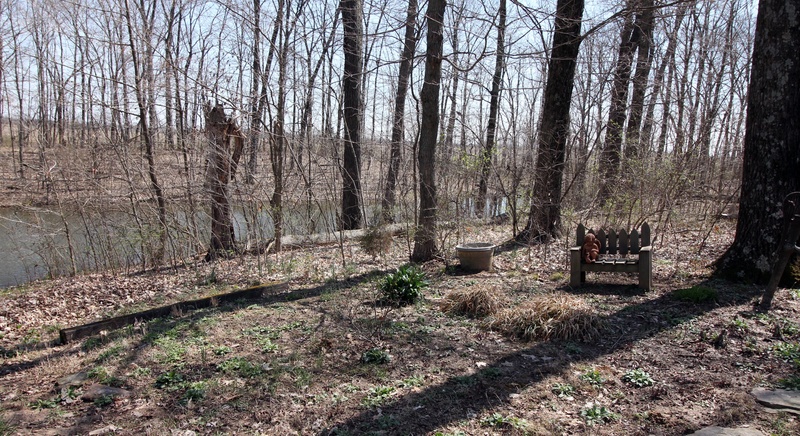 The main level also includes two additional bedrooms both with pond views and full bath. 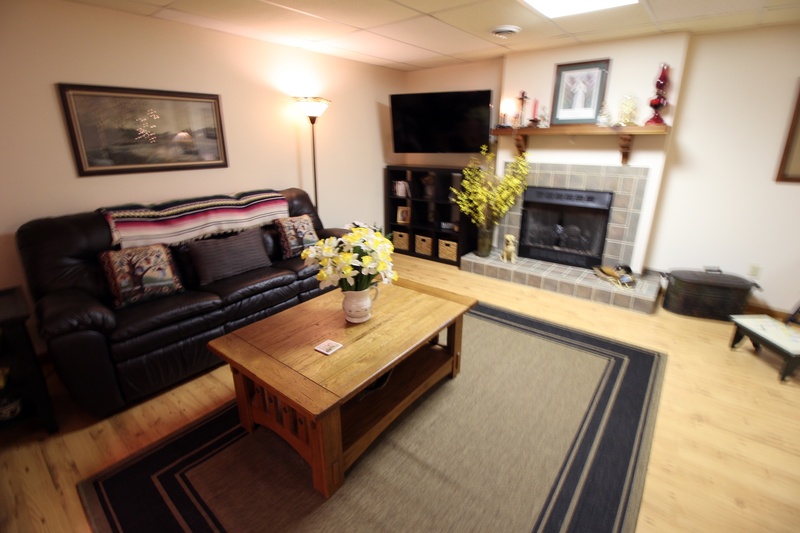 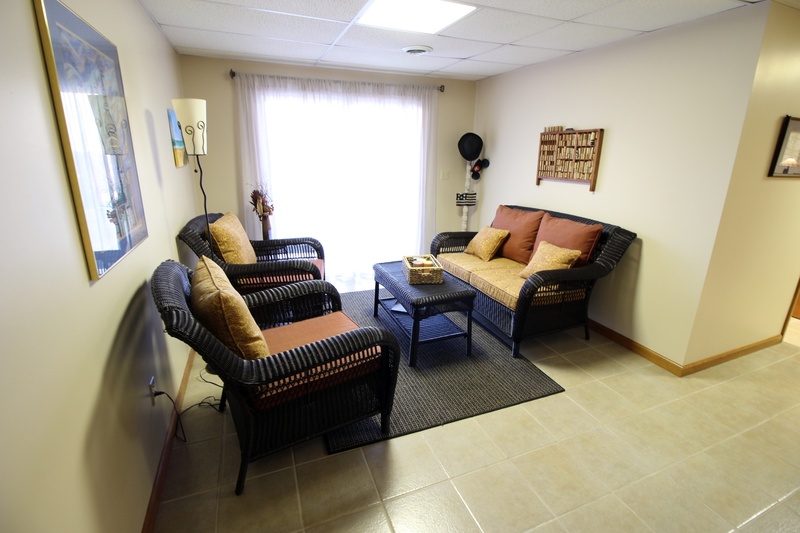 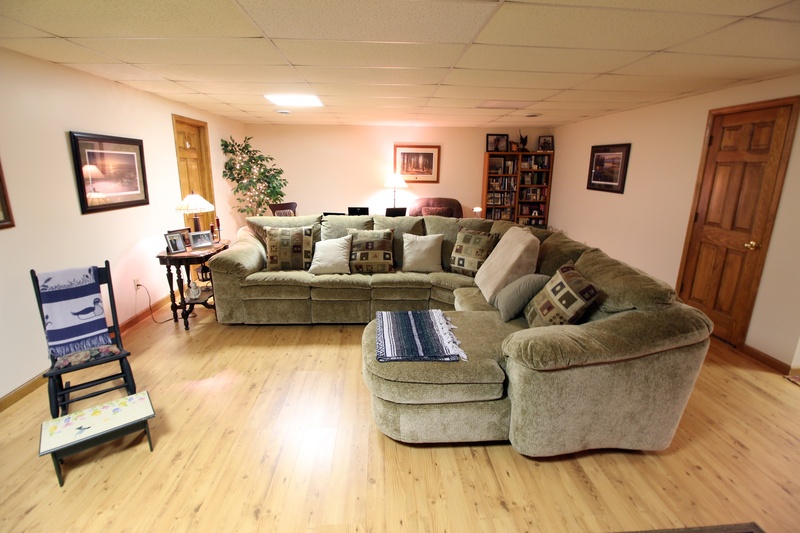 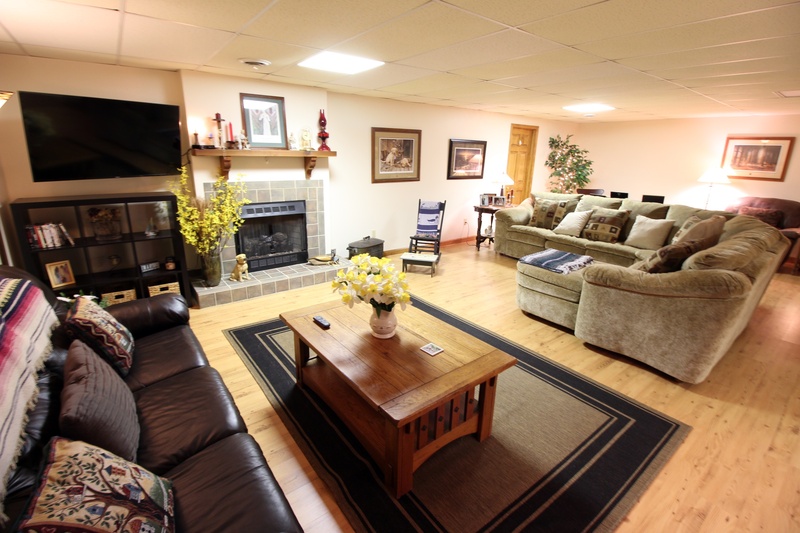 The full basement includes a spacious family room with fireplace, a sitting area with walk out patio area, laundry room, full bath and spacious storage area. 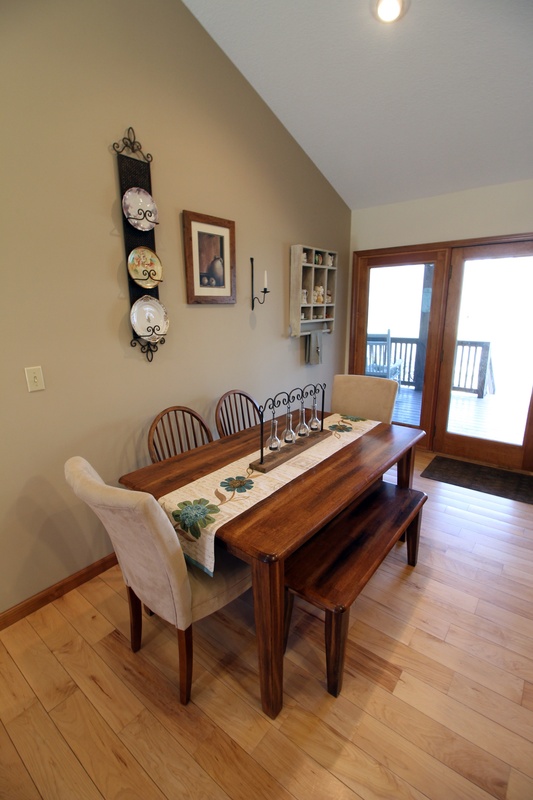 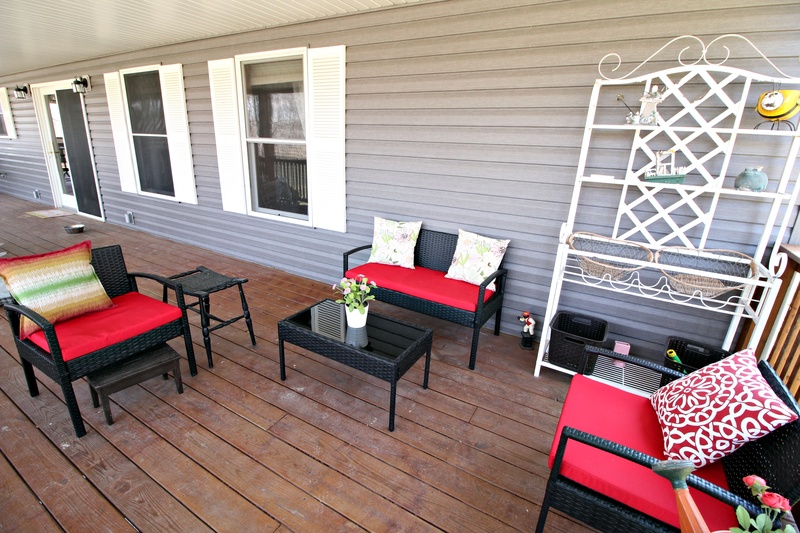 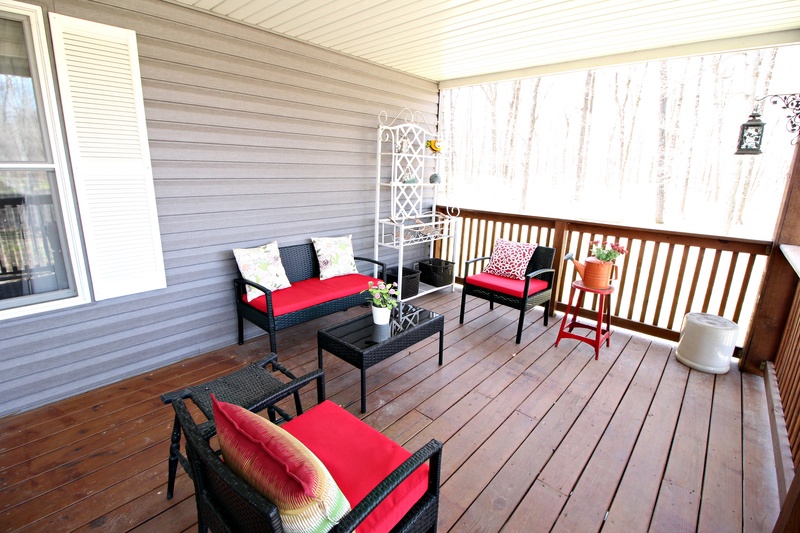 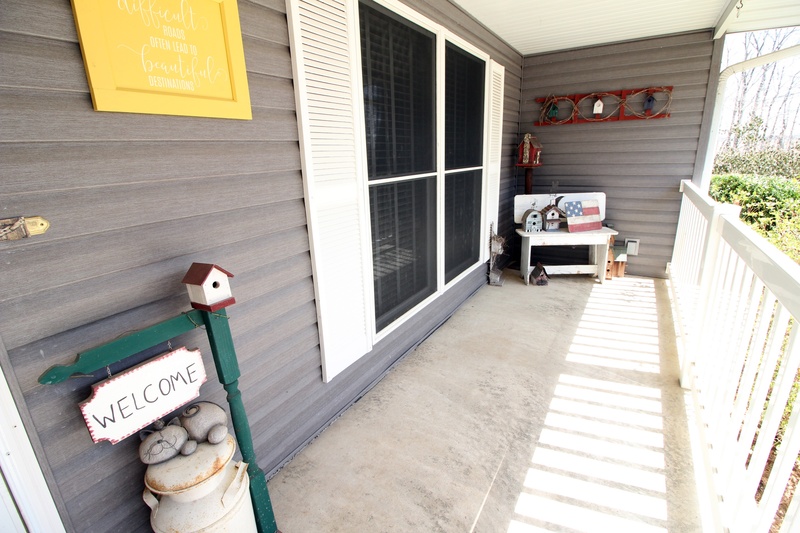 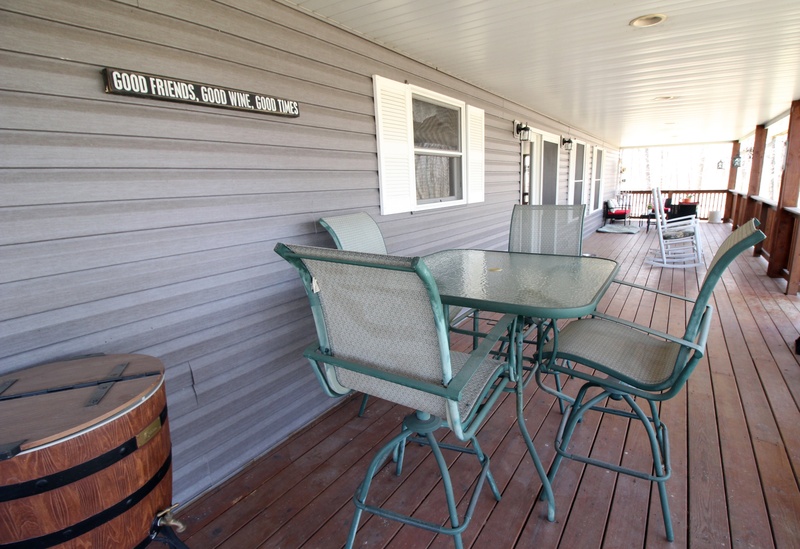 Enjoy the beauty this property offers on the spacious back deck. 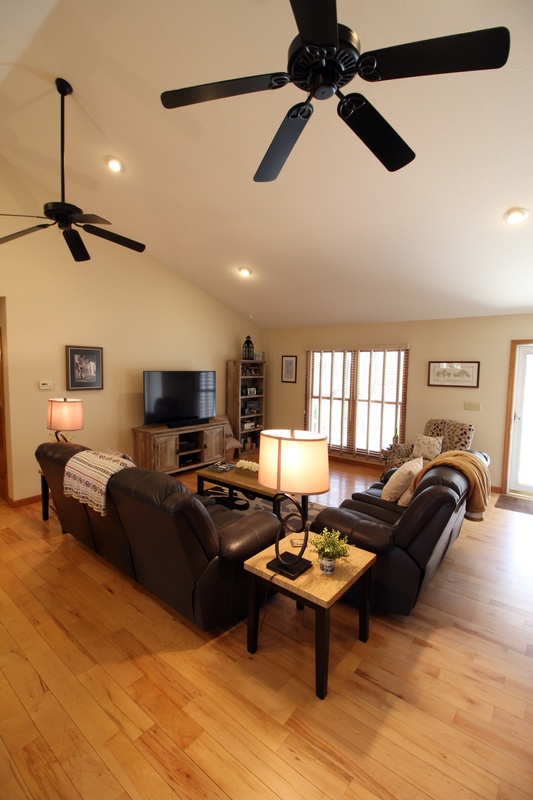 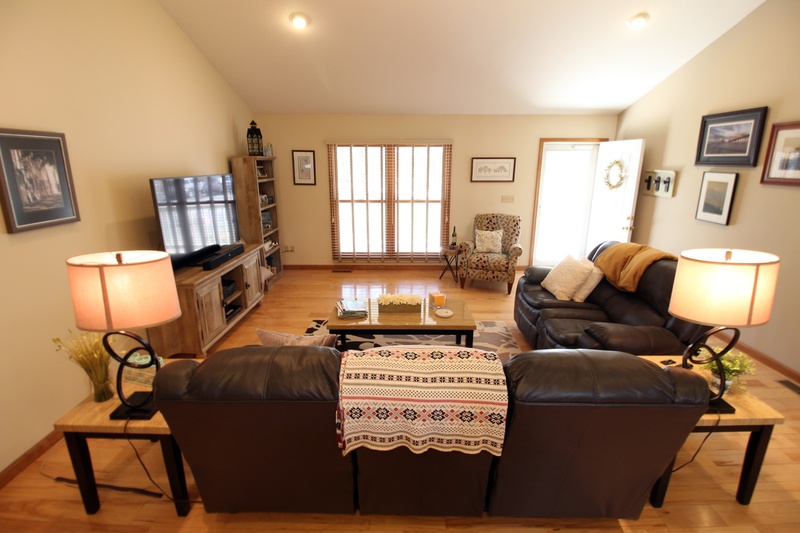 The hunting lodge has a covered porch, main level family room and full bath, along with a storage space with garage door. 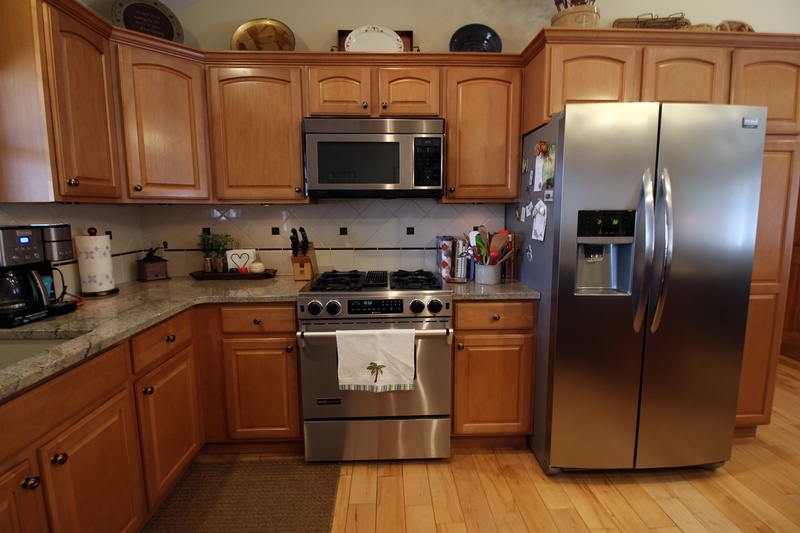 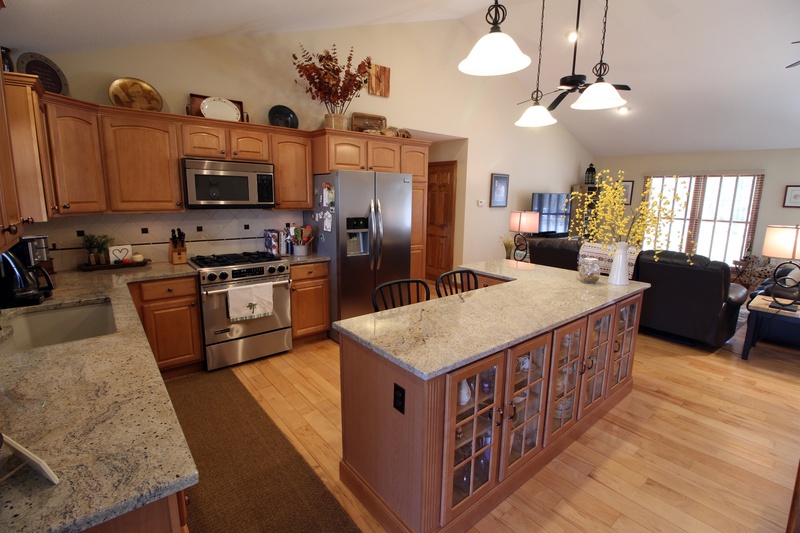 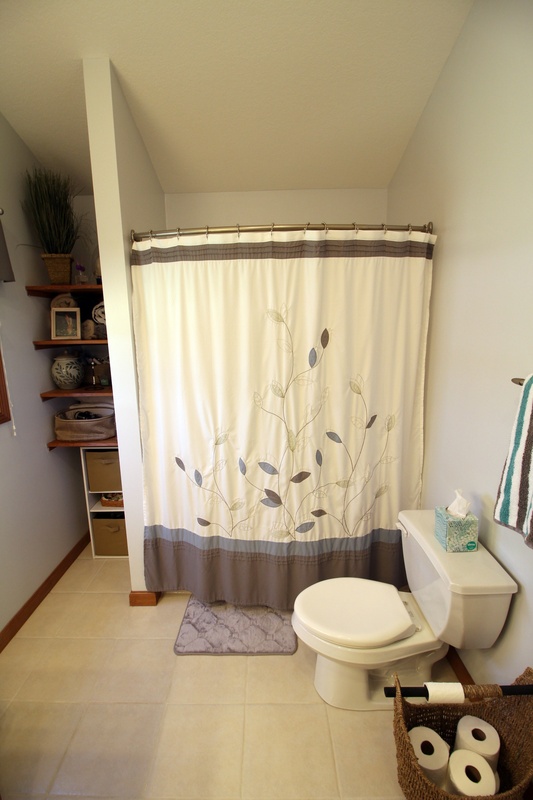 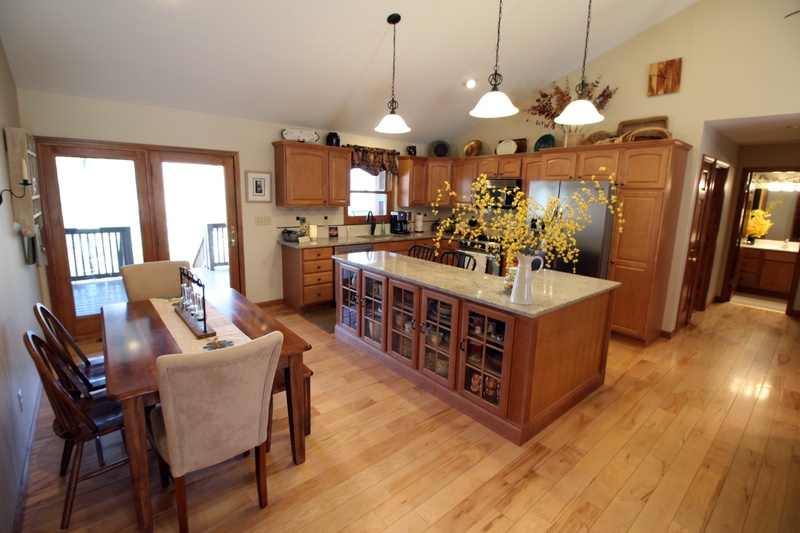 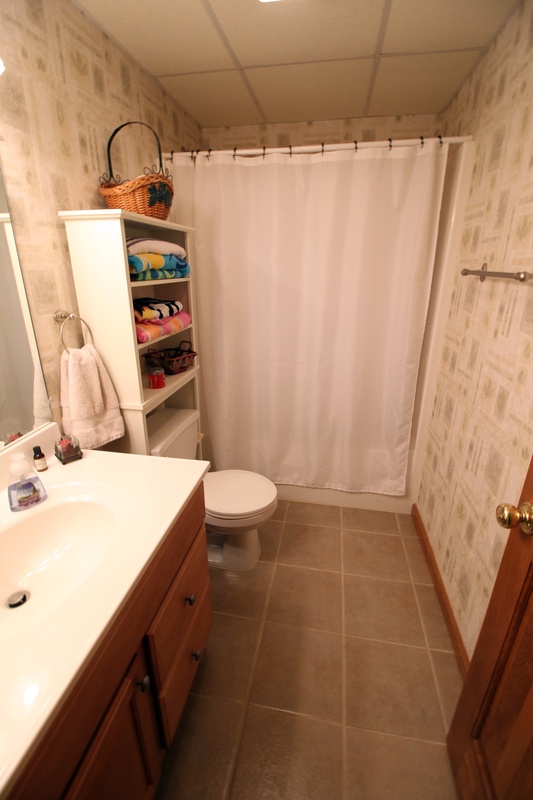 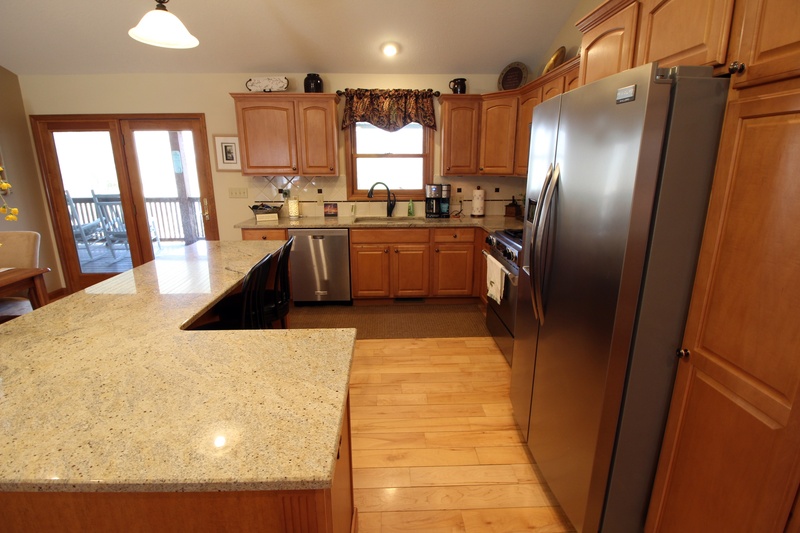 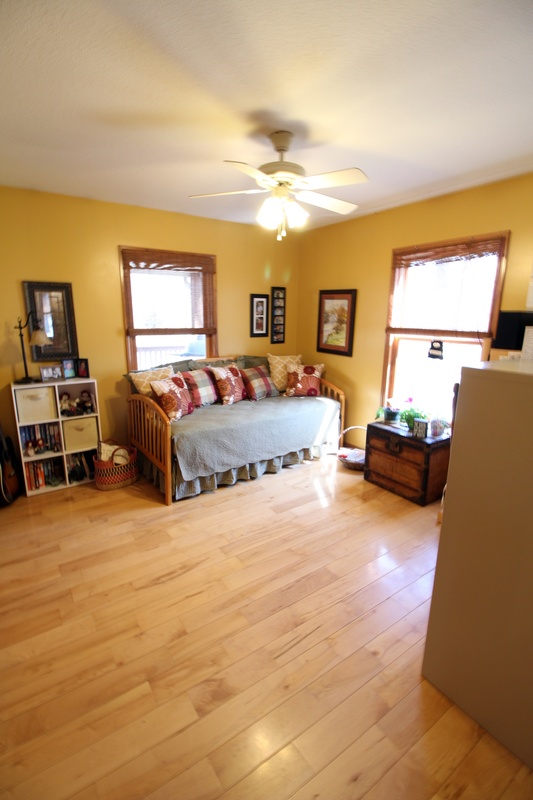 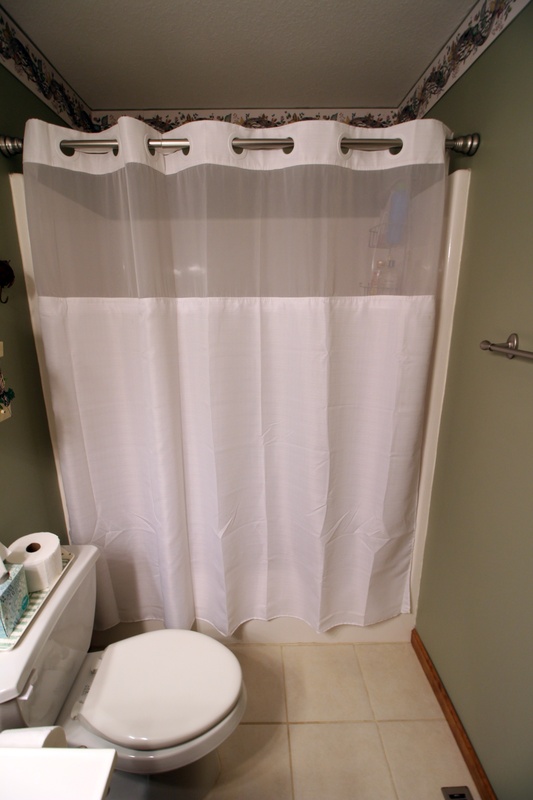 Upstairs is finished with an open area, kitchenette and an additional full bath.